Prime Location! 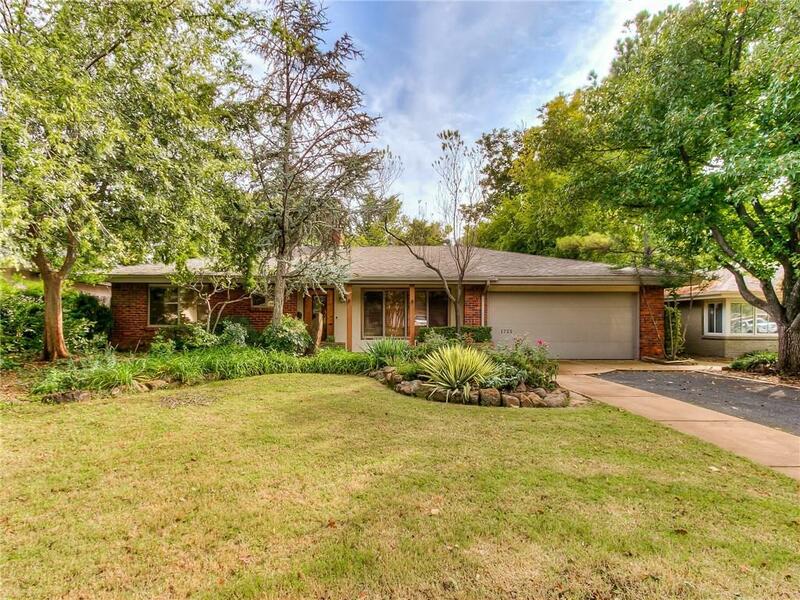 This Nichols Hills gem is your own little piece of paradise, complete with lushly landscaped 1/4 acre lot. Inside you will find a large living with slate flooring, gorgeous stone fireplace, & plantation shutters. 3 Spacious bedrooms with large windows and and custom doors. Gourmet, Karen Black designed Kitchen with custom cabinetry, stainless appliances, gas cook-top, granite countertops, & beautiful windows overlooking the backyard oasis. Fabulous 2nd living room has wall to wall windows and plenty of space to use however you need! Extras include: custom recessed lighting around interior and exterior perimeter, tornado shelter, 2 car garage, heated bathroom floor, back yard sprinkler, extensive landscaping, and new HWT. Feeds to Nichols Hills Enterprise elementary, and located in the heart of thriving OKC with close proximity to parks, restaurants, shopping, and city life! This is truly a special property that you must see!